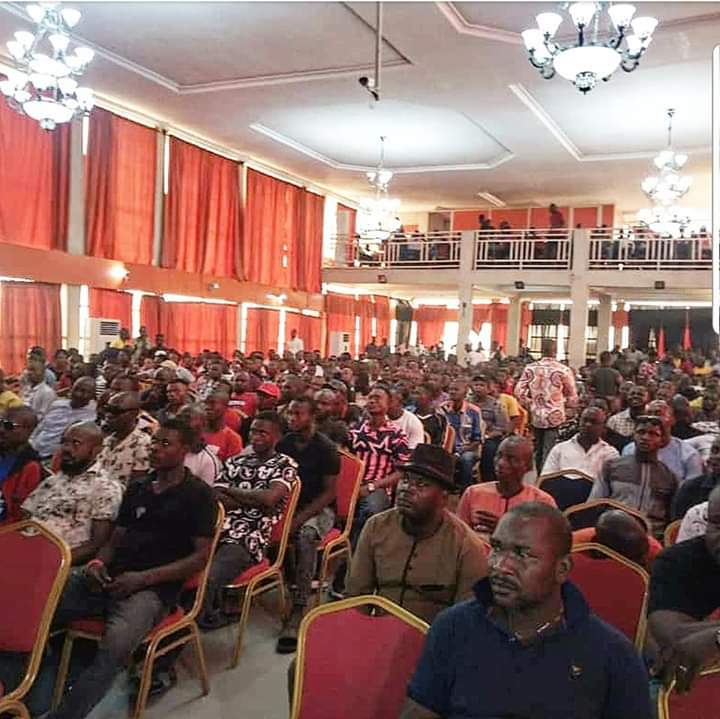 A new pressure group; the Delta Central Equity Group, DCEG, comprising Urhobo and Isoko youths, has stressed the need for the re-election of Delta State Governor, Dr. Ifeanyi Okowa in the 2019 polls. The group, at the inauguration ceremony held in Ughelli, headquarters of Ughelli North Local Government Area of Delta State, called for a peaceful electoral process in 2019, raising the alarm that some opposition personalities have plans to mar the elections with violence so as to make INEC declare the process inconclusive and use the circumstance to hijack the state. 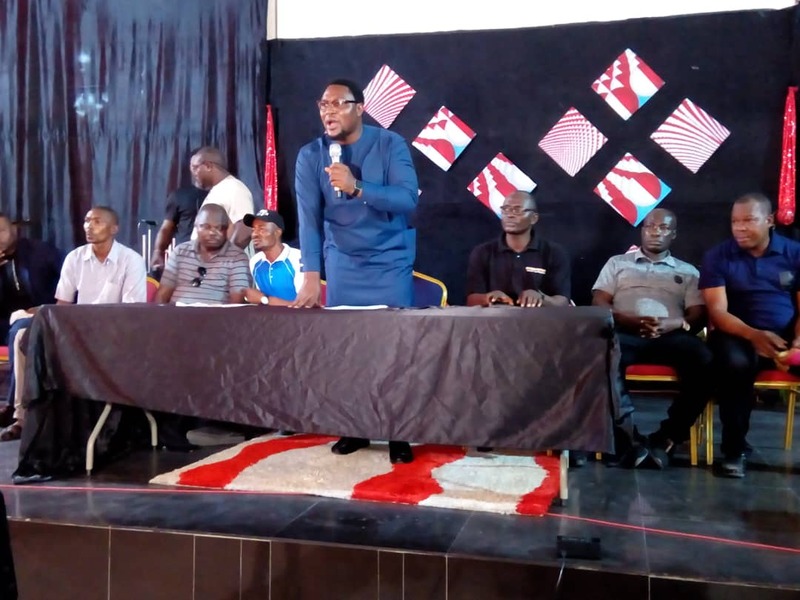 The group, in the welcome address of its convener, Hon Morris Idiovwa, and a communiqué signed by Idiovwa and the Urhobo Youths President, Comrade Festus Igherebuo, affirmed its conviction that Dr. Okowa deserves a second term like his last two predecessors from the other two senatorial districts of the state, saying that is the only way equity would be served. "As we are aware, our great state is multi-ethnic and has functioned on a tripartite senatorial political arrangement: the power-sharing arrangement set out from the dawn of the current democratic experience with us, the Urhobo, taking the first shot at leadership.1999 to 2007 Chief James Ibori, an Urhobo son took turn for two consecutive four-year terms. 2007 to 2015, Dr. Emmanuel Uduaghan, an Itsekiri son, took the turn of Delta South Senatorial District and led for two consecutive four-year terms, uninterrupted. Currently we are in the era of the third senatorial district, Delta North, and Dr. (Senator) Ifeanyi Okowa, an Ika son from the Northern Senatorial District, is running it, still in the first term. As one of the undying maxims of equity says, one who seeks equity must do equity. Being guided by this and having it at the back of our mind that one good turn deserves another, DCEG will be mobilising Urhobo to ensure that what is due to Delta North is fully delivered to them, as an equal co-stakeholder in the 'Project Delta. We shall be achieving this by ensuring that the coming elections, especially governorship and state House of Assembly elections are peaceful and violence-free in Delta Central. We will not allow ourselves to be used as cannon fodder to foment trouble. Delta Central must be peaceful before, during and after 2019 election. The least way the Urhobo and the rest of Delta state can give their Delta North brothers an adequate sense of belonging and solidarity is to ensure that the order of rotational arrangement, as regards who leads the state, is not broken, which translates to the governor from that part of the state, Dr. Ifeanyi Okowa, be allowed to complete the two terms due his region. That will be equity, that will be justice", Idiovwa said in his speech to the crowd of thousands of youths. Meanwhile, in its communiqué issued at the end of the inauguration ceremony, the DCEG alleged of plans by politicians from some unnamed opposition parties to use violence to mar elections in the state, especially during the Governorship and State House of Assembly elections, with the aim of getting the elections to be declared inconclusive. He however said Urhobo and Isoko youths would do everything to frustrate the plots, saying "we have Urhoboland/Isokoland covered and your plans to turn our homeland to a theatre of war will boomerang in your face".